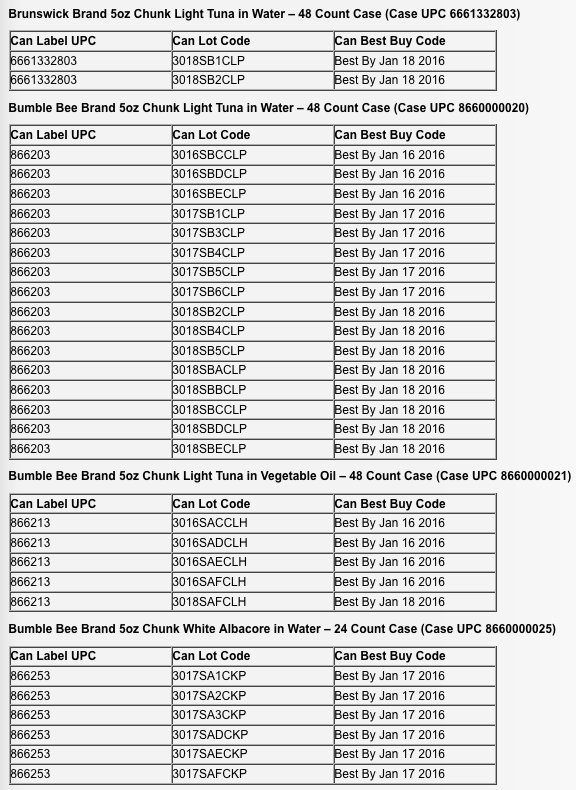 Image courtesy of Just a few of the tuna products being recalled by Bumble Bee. 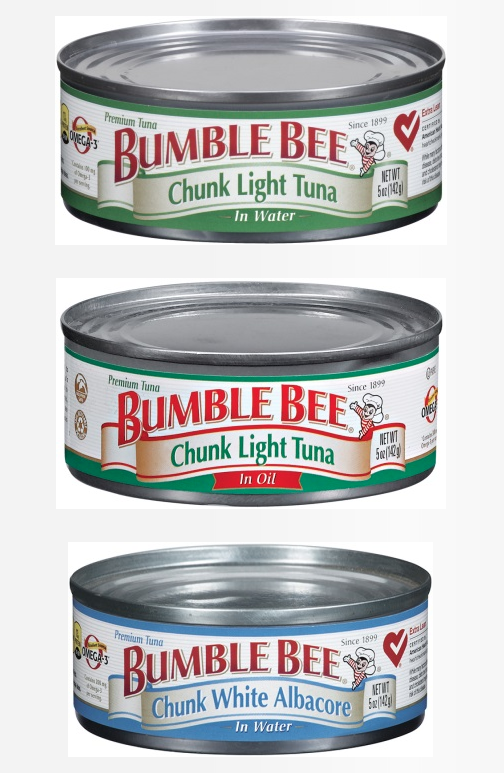 Just a few of the tuna products being recalled by Bumble Bee. When you buy canned tuna, you’re generally working under the assumption that the can has been sealed properly. But the folks at Bumble Bee say that may not be the case for some of its Chunk White Albacore and Chunk Light Tuna products. 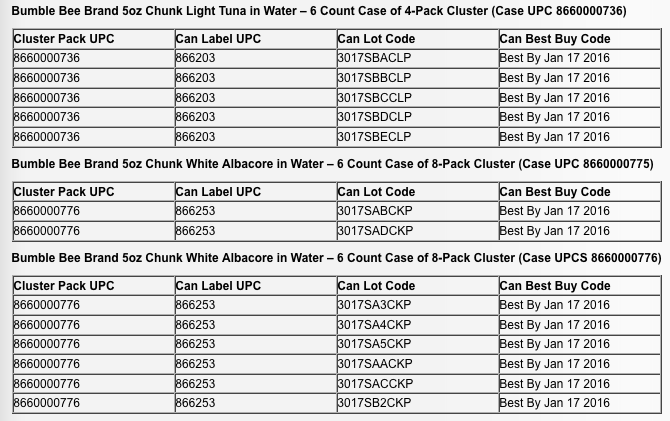 The company says that certain cans (see below or click HERE to see specific codes of affected products) sold nationwide between Jan. 17, 2013 and Feb. 28, 2013, may not meet its standards for seal tightness. An improper seal could result in contamination and lead to illness if consumed. However, Bumble Bee says it knows of no illnesses associated with this recall. If you have any of the cans listed below, Bumble Bee says you should dispose of them in the garbage. Affected consumers can contact Bumble Bee Consumer Affairs 24 hours a day at (800) 800-8572.